October 2nd and 3rd was a busy weekend for 11 teams of young Toronto filmmakers at the 7th annual T24 Project hosted by Toronto Youth Shorts Film Festival. In this contest, the teams were presented with one essay question from which a 6-9 minute film had to be produced in 24 hours that answered the question. The goals of the contest were to push the filmmakers’ creative boundaries, impress upon them the real stresses of filmmaking and to encourage them into making a unique social statement. This year’s essay question focussed around the concept of “Your Perfect Toronto”. All films will be screened October 7 at 8:00 pm at CineCycle. 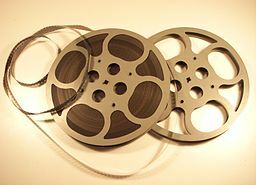 Although nine films were produced, seven of them will be reviewed by a panel of judges. Members of the panel will include Karen Tsang, Manager of Development for Comedy and Drama Content at CBC, Inga Diev, programmer from Sundance Channel Canada and Alex Kingsmill, who led the winning team in 2012 and is now a cinematographer and VFX artist. The winner of the contest will pick up the Visual Thesis Award. A winner for the Audience Choice Award will also be selected. The seven films in competition are Cooper & Cooper by Jessie Zus; Empty Places by Bibiana Loh; Interceptors by Greg Fox; Take Me In by Jonny Micay; The Other by Darik Maurice; The Sixx by Rebecca Whitaker; and Toronto The Good by Kyle Mackenzie. Upon review of the seven films, each of them creatively answered the essay question. From experiencing Toronto life as a bicycle courier to changing the city from two different perspectives, the films made by these young directors revealed their own unique take into what a perfect Toronto would look like. In summary, there is no Utopian Toronto – it includes the bad as well as the good. Short Film Fan Pick: Take Me In directed by Jonny Micay, along with Ryan Bobkin and Aidan Tanner. A young man catches a thief trying to rob his home. After catching her in pursuit, he attempts to take her to the closest police station. Along the way, animosity gives way to friendliness. The film underscores the fact that imperfect cities are made up of imperfect people. But, getting to know someone who does wrong can make living life in the city a little bit better. The film also had a nice mix of scenery from different parts of Toronto and the background music was enjoyable. Good luck to all the filmmakers at Wednesday night’s screening and awards!